Our Fleet Service Managers will take the time to meet with you, learn your company and the way you do business with respect to your fleet. 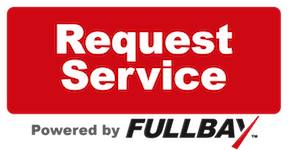 We will work with you to establish the most convenient ways to perform maintenance and repair on your vehicles. Our goal is to provide you with cost-effective, convenient, and comprehensive fleet services, so that you can focus your valuable time and energy on your business. There is no contract involved, but can be provided if your company requires one. Our aim is to do things the way you want and need them done. Remember, it's not what is convenient for us IT'S WHAT IS CONVENIENT FOR YOU AND YOUR BUSINESS! Our job is to keep the wheels on your vehicles rolling so that you can keep the wheels of your business rolling. Serving the greater Orlando Florida area with pride! We at ABAR ON SITE FLEET SERVICES take pride in what we do for all of our customers both large and small that is why we have invested heavily in the latest up to date software & technology in order to ensure all of our customers can have the confidence in us to get the job diagnosed accurately and repaired right the first time! These laptops and diagnostic tools do much more then just pull trouble codes we are capable of getting into the heart of any engine and/or sub system on your vehicle to perform in depth detailed tests and diagnostics to determine if anything is out of balance both mechanical and electrical on any make or model truck. Our software is exactly what you will find at any dealership for what ever vehicle you have in your fleet, the only difference is OURS COMES WITH GREAT CUSTOMER SERVICE!